Castas e Pratos, CP for short, results from the will of Edgar Gouveia and Manuel Osório, two entrepreneurs joined by family ties and motivated by the ambition to create an innovative and distinctive project, combined with the passion for the Douro. Thus was born Castas e Pratos, a restaurant located in a historic space, in the old warehouses of CP, the Portuguese Railways, in Régua, luxuriously renovated with all the necessary comfort to make you aware of the best of the region of the Douro. The concept of Castas e Pratos is to be more than just a Restaurant, it is a Wine Bar, a Lounge and a Wine Shop, "a five in one”, where the taste, the smell, the sight, the touch and the hearing, and one or more other sense, work together to offer you a unique experience. A place where the difference leads, both in concept and decoration, designed to host events, launch of wines and wine tastings with winemakers. The passion for the true quality of the wines and spirit drinks provided by Castas & Pratos can be seen in the care to use the most advanced storage conditions on its unique wine cellar. Several are the awards, international and national, that prove the unique quality of this restaurant, among them the "Best of the Wine Tourism”, top award of the gastronomy with Port Wine, "The Best Wine List” or its nomination as one of the "100 Best National Restaurants” by the magazine "Sábado”. 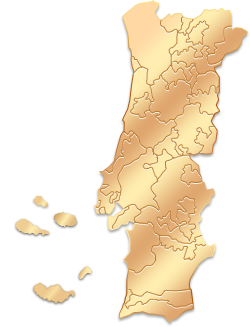 As well as in the press, "Castas e Pratos” deserved reference in publications like The New York Times, the Wine Passion, the Blue Travel or the Wine – Essência do Vinho (Essence of Wine). These are mere examples of the awards of this restaurant, that distinguishes itself for the constant search for new ideas, new concepts, in a daily search to reach the level of excellence. The restaurant Castas e Pratos is located in the emblematic old warehouse of CP, Portuguese Railways, in Régua, the heart of the Douro Demarcated Region.